BEIJING, May 24 (Xinhua) -- The body of Sun Fuling, former vice chairman of the National Committee of the Chinese People's Political Consultative Conference (CPPCC), was cremated Thursday in Beijing. Sun was 97 when he died of illness on May 18 in Beijing. 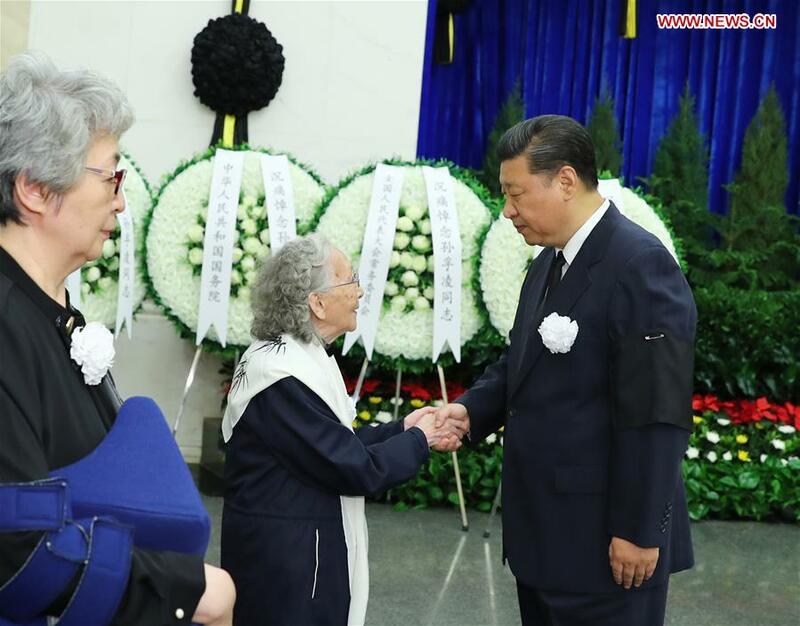 Xi Jinping, Li Keqiang, Li Zhanshu, Wang Yang, Wang Huning, Zhao Leji, Han Zheng as well as other senior officials paid their final respects to Sun at Babaoshan Revolutionary Cemetery in Beijing. They stood in silent tribute and bowed three times in front of Sun's body before the cremation. They also extended their condolences to his family. Xi Jinping, Li Keqiang, Li Zhanshu, Wang Yang, Wang Huning, Zhao Leji, Han Zheng, Wang Qishan, Jiang Zemin and Hu Jintao either visited Sun while he was in the hospital or offered their condolences after his death. Sun was an excellent representative of modern China's industrial and commercial entrepreneurs, a well-known social activist, an outstanding leader of the All-China Federation of Industry and Commerce and a close friend of the Communist Party of China, according to an official statement. Sun served as the vice chairman of the eighth and ninth National Committee of the CPPCC.